Disclaimer: this discussion of drug therapy is not meant to imply that any of these drugs may be of use for treatment of allergy symptoms in a specific individual. Do not try these therapies for your pet without the recommendations including dosage by a veterinarian who has examined your pet. All drugs or medications have the potential for having side effects including drug allergies or drug reactions. There is no drug that can be considered absolutely safe. Along the same line, some herbal or natural therapies can have side effects. With regard to environmental allergies, allergen specific immunotherapy is in my opinion the ideal therapy. It is the one therapy that can desensitize an individual to their allergens. It does so without using drugs that may have side effects. However, immunotherapy takes time and drug therapy can provide more immediate relief while waiting for the benefits of immunotherapy. For some pets in which drug therapy is not feasible, some drugs may be the main part of a therapy program and offer a comfortable life when quality of life is weighed against possible side effects. Unless otherwise specified, the drugs discussed below are given by mouth. For many years, veterinary medicine has “borrowed” drugs used in humans for treatment of various ailments in pets and allergic skin disease is an example. Most of these drugs, e.g. antihistamines, have been discussed and described in numerous veterinary publications including description of possible side effects. Fortunately over the past ten years there have been drug therapies approved specifically to control symptoms of allergies in dogs and cats. However, for most other drug therapies there is rarely in-depth analysis of pharmacology in pets including short term and long term side effects. We will use the term “drug” to mean a medication or pharmacologic agent, whether prescription or over-the-counter (OTC), which is manufactured in a facility that is under the jurisdiction of the FDA. We will further specify that the container of a drug has a statement of the amount of active ingredients present in the drug (and also inactive ingredients). E.g., Benadryl is a drug: it is made in facilities under FDA jurisdiction and the container states how many milligrams (mg) is present in each capsule or tablet. Of course, a given drug may not be helpful in all individuals. 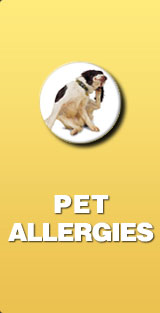 Most pets with allergies will at some time require drug therapy. Many people do not like the idea of using drugs for their pet’s health problems and would rather instead use homeopathy or herbal remedies. While there are some homeopathic and some herbal remedies that can be helpful, it is important to keep an open mind that certain conditions may not improve without drug therapy. Drugs can have side effects, but so can herbs. The goal of drug therapy for allergies is two-fold. 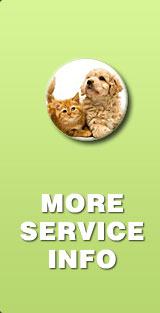 First it is important to give the pet relief from the symptoms of allergies, such as scratching, licking, and rubbing. Second it is important to reduce the effects of allergies on the health of the skin at the microscopic level, by reducing inflammation in the skin. Some drugs can achieve both goals; some drugs both, and unfortunately some drugs may accomplish neither. There is no one drug that will work for every single pet, just as there is no one antihistamine that works for every human hay fever sufferer. Antihistamines: The first commonly used group of drugs for allergy symptom relief is the antihistamines. Examples of antihistamines include Benadryl (diphenhydramine), Zyrtec (cetirizine), Claritin (loratidine), Atarax (hydroxyzine). Antihistamines interfere with or block the binding of histamine (one of the allergy chemicals produced by the body) to cells. This blocking action can help reduce some allergy symptoms that otherwise would occur if histamine attaches to cells. Although a relatively safe group of drugs, antihistamines, like any drugs have the potential for side effects in pets including drowsiness, excitability and many other possible side effects: just about any side effect that can happen in a human can also happen in pets. There are some pets that can get some relief from skin allergy symptoms. However, histamine is only one of the many cytokines involved with allergy and probably plays a small role in allergic skin disease. Antihistamines may be helpful for mild skin allergy symptoms or as part of a therapeutic program where another more potent therapy is controlling most of the symptoms. Steroids: The next well-known group of drugs used for therapy of allergies is steroid medications. These are members of the group of steroids named corticosteroids or glucocorticoids; but not the anabolic or “body-building” steroids. Examples include prednisone, prednisolone, methylprednisolone, triamcinalone acetonide, and dexamethasone. Steroids are almost always very helpful for temporary allergy symptom relief. The problem with these drugs is the tendency for a wide variety of side effects, especially in dogs. These side effects can begin within a few days of starting one of these drugs. Although they have their place, steroids usually cause too many problems to be of use for long term management of a chronic disorder such as allergic skin disease. The problems can be serious enough that steroid therapy has been likened to trading one disease (allergy) for another disease (steroid side effects). The side effects of steroid therapy include increased appetite and increased weight (dogs and cats), increased urination and drinking (dogs), liver enzyme elevation and liver enlargement (dogs), panting (dogs), changes in behavior including aggression (dogs and cats), stomach ulcers (dogs and cats), and interference with the body’s insulin-glucose balance (dogs and cats). 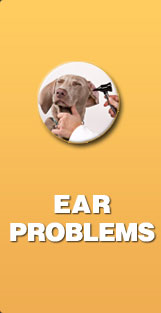 Other problems include calcium deposits in the skin, thinning of the skin, lethargy, increased susceptibility to infection, poor hair coat, hair loss, muscle weakness, increased fat production, joint weakness followed by ligament problems in the knees, kidney problems, and coagulation problems. Steroid usage should be avoided in individual taking aspirin or other NSAID medications for arthritis as this combination greatly increases the risk of stomach ulcers. Using steroid drugs in a topical formulation (applied to the skin) instead of being injected or given orally should greatly reduce the chance of side effects. Whenever, possible it is likely better to use steroids directly on the skin instead of by injection or orally. 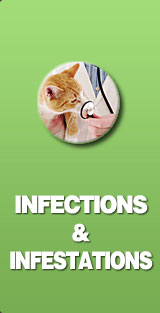 However, pets will likely ingest small amounts of the topical through licking or grooming and reduce the effectiveness. 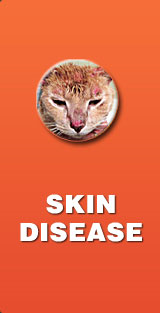 Topical steroids can cause thinning and weakening of the skin if used too much. Cyclosporine: This drug was in my opinion the first useful drug approved by the FDA for treatment of allergic skin disease in dogs and later in cats. It is well known for its use for many years in humans who received an organ transplant. This makes sense, because rejection of a transplant is due to the immune system and cyclosporine is an immunosuppressive medication. Since allergic skin disease involves excessive activity of the immune system, it also makes sense that cyclosporine can be helpful for allergic skin disease. A form of the drug under the brand name of Atopica was approved for use of treatment of allergy symptoms in dogs. It was subsequently approved for use in cats, in which study our clinic was involved. Cyclosporine is one of the first drugs with the ability to work as well as or almost as well as steroid drugs for treatment of allergy symptoms. And, since cyclosporine is not a steroid, it does not have steroid side effects. However, cyclosporine does have its own potential side effects including vomiting, diarrhea, and increased susceptibility to infections. The manufacturer recommends avoiding use in individuals with a history of cancer (malignancy) because of the theoretical risk of increased cancer following suppression of the immune system. For dogs who are not candidates for allergy vaccine therapy (desensitization) or who need relief while waiting to see the benefits of allergy vaccine therapy, cyclosporine has the option of offering a much more comfortable life without steroid side effects. It also appears to have the ability to reduce swelling and inflammation in the skin or ears due to accumulation of immune system cells (inflammatory cells) in these tissues. Cyclosporine can take 2-3 weeks of use before benefits are seen and so other therapies are often used for immediate temporary relief when starting cyclosporine. Oclacitinib: This drug is the newest innovation among drug therapy treatments for symptoms of pruritus (itchiness, rubbing, scratching, and licking). It is FDA approved for this use in dogs and is marketed under the name Apoquel. Its label is less restrictive than Atopica with regard to cancer: it is not recommended for use in pets that currently have a cancer, but may be OK for use in pets who have a history of cancer that has been resolved (e.g. was completely excised and with no evidence of recurrence or metastasis). The nice thing about oclacitinib is that it works in almost all dogs with atopic dermatitis due to environmental allergies and it starts to work very quickly. Within the first two doses there is usually significant relief. Like cyclosporine, oclacitinib is an immunosuppressive drug. However, when used at the appropriate dosage and in dogs at least 12 months of age, the side effects so far appear minimal. Some dogs may develop diarrhea while on oclacitinib. We have had considerable experience with oclacitinib over the past year and it has transformed the lives of some dogs with atopic dermatitis from a life of misery to a life of reasonable comfort. Unfortunately there was a problem with limited availability of the drug for the past year or more after its official release. In my opinion, it is very good for pruritus (itchiness, rubbing, scratching, and licking) and is a realistic replacement for steroid drugs. However, it may not be as effective as cyclosporine in its ability to reduce swelling and inflammation in the skin or ears due to accumulation of immune system cells (inflammatory cells). The other drug therapies tried for use of control of skin allergy symptoms are too many to list here. Some examples include: tricyclic antidepressants, narcotics, other immunosuppressive drugs, tranquilizers/sedatives, gabapentin, misoprostol, pentoxifylline, zafiroklast. These drugs either have failed to be helpful when carefully scrutinized or have too many side effects to make their use adequately safe. Although they do not fit our definition of a drug, oil products should be mentioned. Fish oils (high omega-3) and plant oils (high omega-6) can be considered to be on the same par as antihistamines with regard to treatment of allergy symptoms: they typically are not effective enough as sole therapies except in treatment of mild skin allergy, but oil products can be part of a therapy program. They have other benefits for the skin and hair coat that make them worthwhile as part of therapy for many pets.